Everyone needs a helping hand sometimes. Enter the Google Assistant, which is conversational, personal and helps you get things done—from telling you about your day to taking a selfie. The Assistant is already available on Pixel, Google Home, Google Allo and Android Wear. Now we're bringing it to even more people. 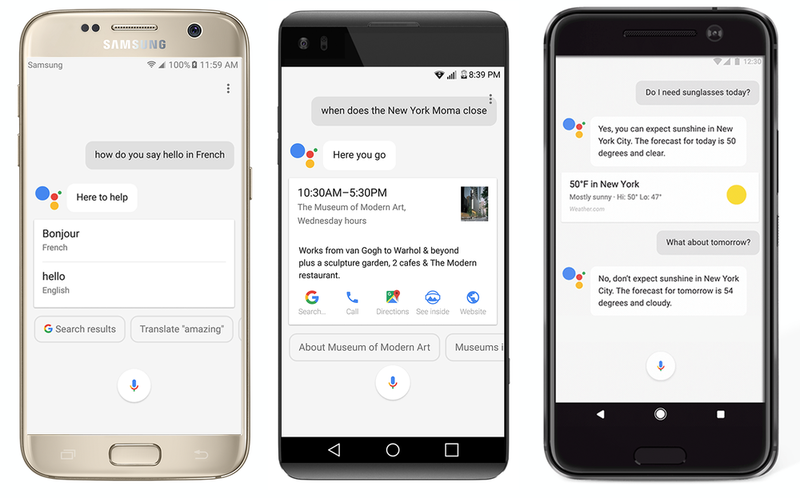 Starting this week, the Google Assistant is coming to smartphones running Android 7.0 Nougat and Android 6.0 Marshmallow. Whether you need to know how to say “nice to meet you” in Korean or just a simple reminder to do laundry when you get home, your Assistant can help. With the Google Assistant on Android phones, you have your own personal, helpful Google right in your pocket.